What is an Inventory Management System and What Features do I Need? Inventory management systems help keep tabs on merchandise and inventory through the full supply chain a business operates in. Inventory management systems cover it all; from manufacturing to retail, storehouse to shipping, and everything that lies in between. Basically, it all comes down to the business overlooking its operations, therefore, allowing them to establish better investments and decisions. Various inventory managers give attention to diverse areas pertaining to the supply chain. Usually, small businesses are more concerned with the ordering and retailing side of the chain. What Features of an Inventory Management System do I Need? Are you facing problems handling your inventory? If so, it is time to consider an inventory management system so that you can manage your inventory processes in your control. Now, the problem arises. With all of the options that are available nowadays, how do you find out which is the right solution for your business? What features should you be considering? Although the amount of daily orders being received can be exciting, it could result in problems if you are not in a position to achieve and accomplish those orders competently. Retailers who are in the position to process a high volume of orders, wish to restructure and simplify their procedures all the more by applying barcoding and scanning on the pickup, package, and shipping stages. Though it sounds simple, it is on the top of the list for most demanded features in an inventory management system. With the help of this feature, you are able to conduct a systematic way of handling and controlling your inventory throughout your sales channels. This feature is all about helping you prepare for what should be ordered so that your resources are spent wisely. If you have the proper required tools, it will be a lot easier for you to learn which commodities are the ones selling and which networks are the ones performing. With access to such features, you can get right down to the details of your sales. This is a great way to provide you with all indispensable information that will help you maintain accurate inventory levels. In the end, you will be able to make much better and wiser decisions on how much and what to buy. Retailers who are in the business of selling Food and Drug Administration-regulated products have a deep understanding of the significance of detecting lots or specific stock items. In the case where a commodity is recalled due to a specific reason, tracking down the specific stock items will help you know which items are available on the shelves or in stock. In addition, you can also keep tabs on which of your consumers have received their product and which ones are about to receive them. Although an accounting system will not perform the work related to a specialized order, it is important to manage a successful business. With a direct integration in your accounting bundle, an inventory management system will be of value to you and your business. This will also help you in your bookkeeping requirements. https://www.completecontroller.com/wp-content/uploads/cclogo_main-long-300x63.png 0 0 Complete Controller https://www.completecontroller.com/wp-content/uploads/cclogo_main-long-300x63.png Complete Controller2019-04-17 17:10:382019-04-18 11:32:58What is an Inventory Management System and What Features do I Need? How does Inventory Management affect Income Tax Paid? How Much of What You Are Selling Do You Need to Have Available? 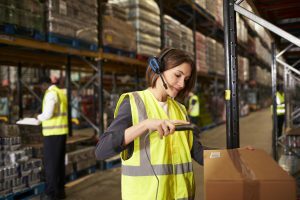 FIFO vs. LIFO: What is the Specification in Inventory Management? Is Restaurant Inventory Management Crucial to Planning your Menu?